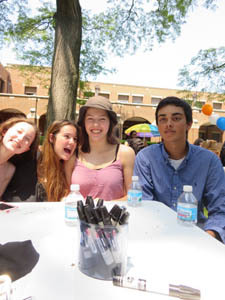 The seniors were already liberated. 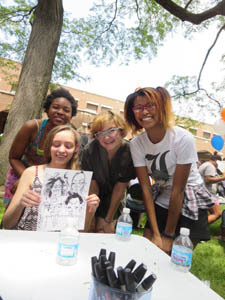 The rest deserved a party on the last day of classes. 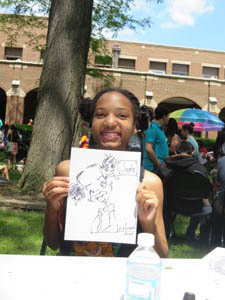 We had glorious weather and I was set up in one of the courtyards. 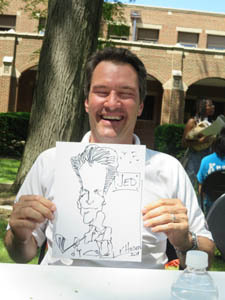 I drew twenty-eight students, faculty and staff in two hours. 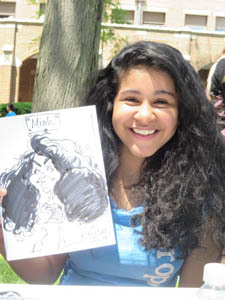 Thank you, Nichole! 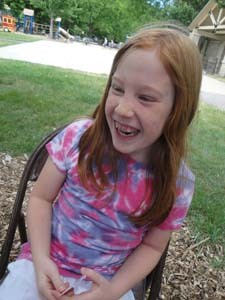 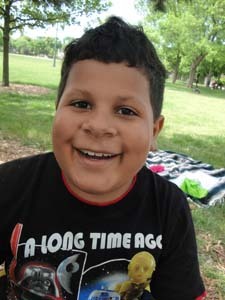 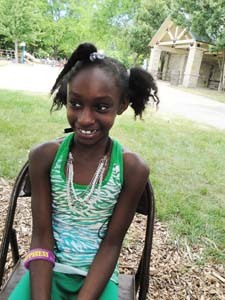 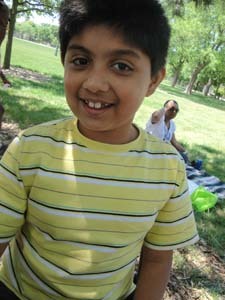 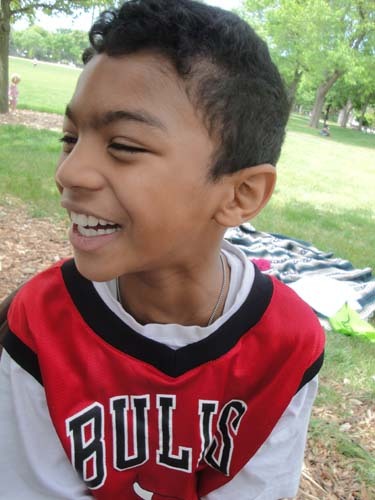 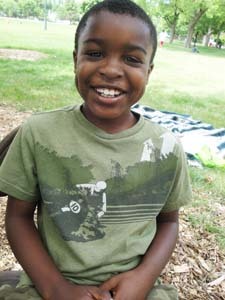 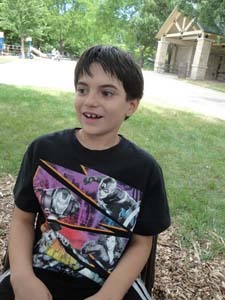 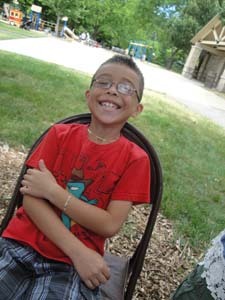 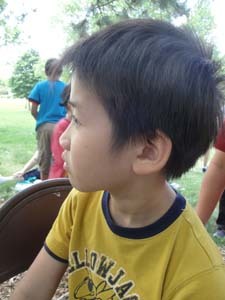 It’s become an annual event for second graders at this Evanston-Skokie grammar school: the end of the school year picnic held at Central Park. 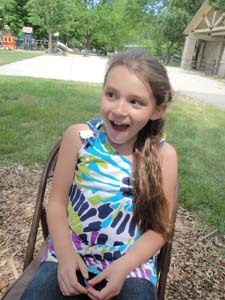 We’ve always had a hot June day with the occasional breeze. 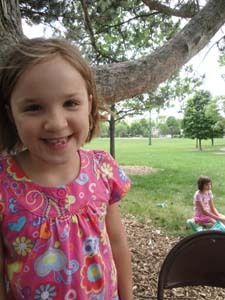 It’s idyllic. 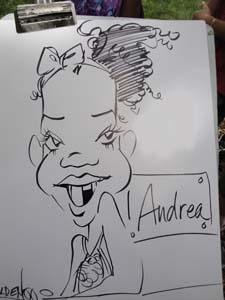 The kids play and line up for their caricature by that famous what’s-her-name artist. 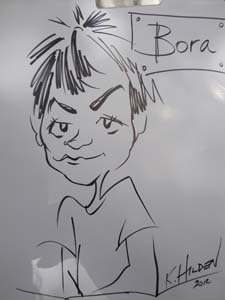 I drew fifty-nine kids in about three-and-a-half hours. 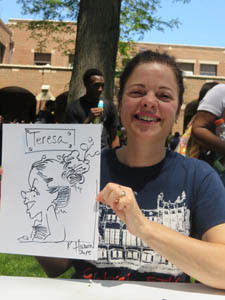 The teacher collects the drawings. 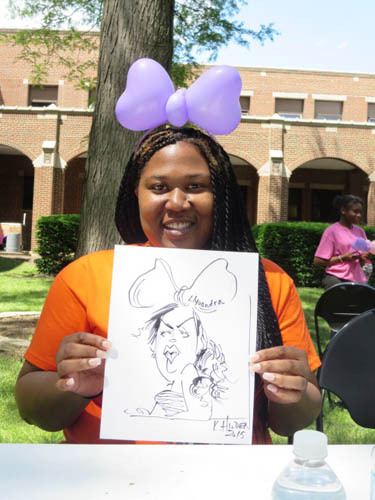 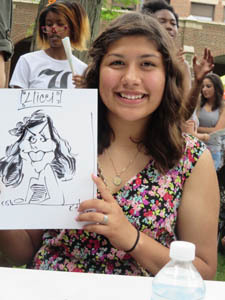 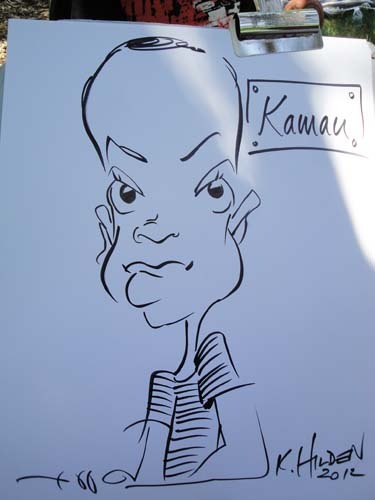 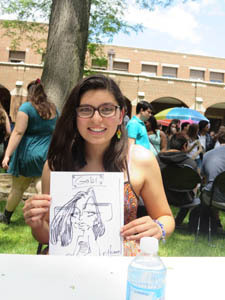 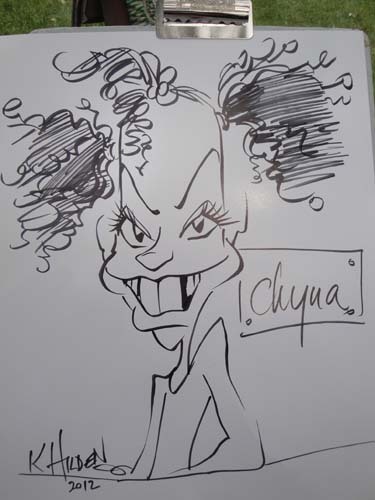 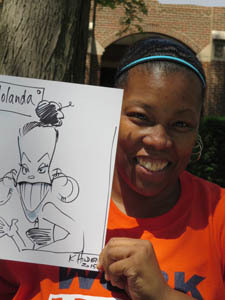 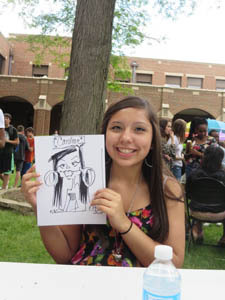 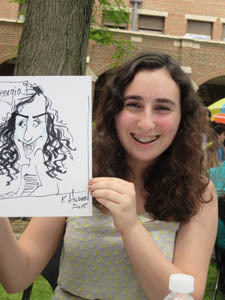 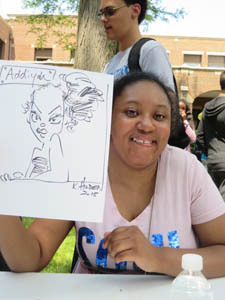 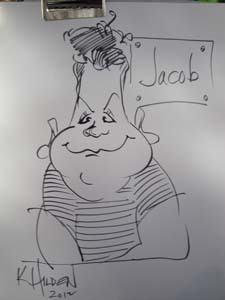 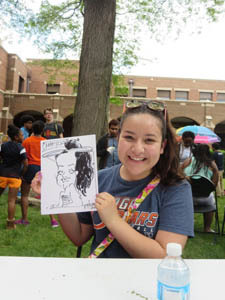 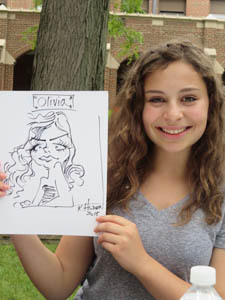 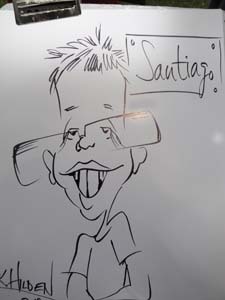 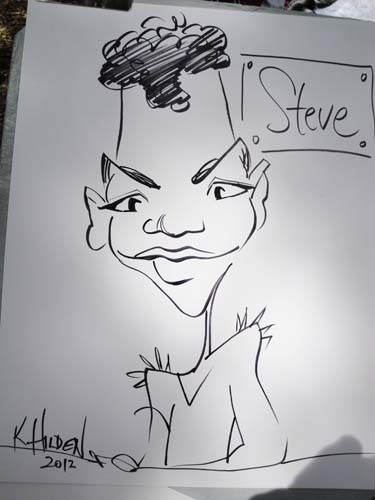 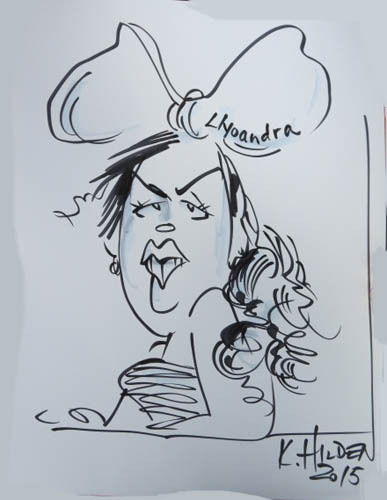 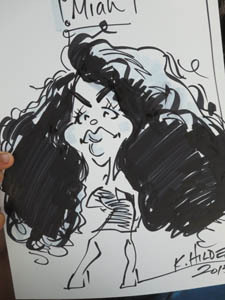 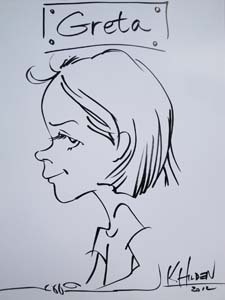 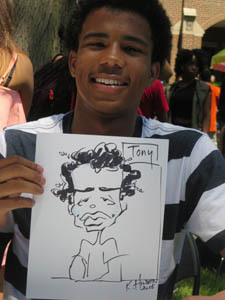 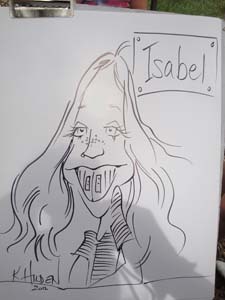 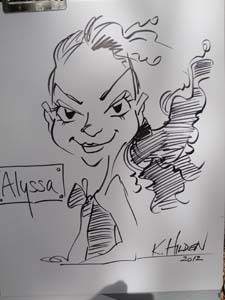 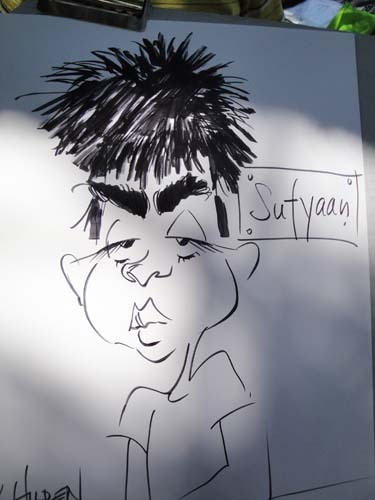 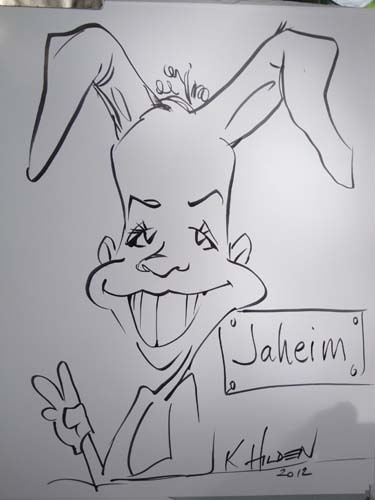 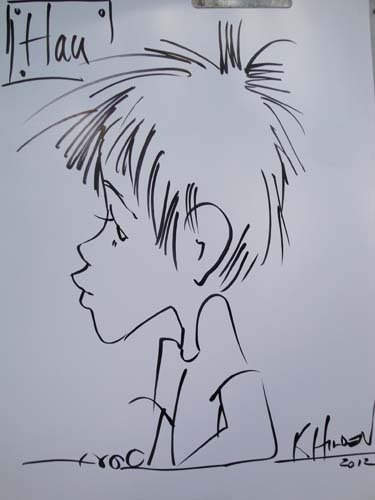 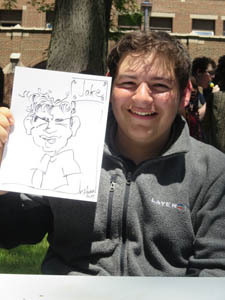 The caricature becomes part of the keepsake folder each child receives at the end of the school year. 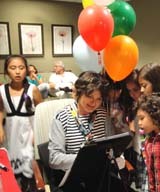 It contains the poems they wrote and their art works and other efforts. 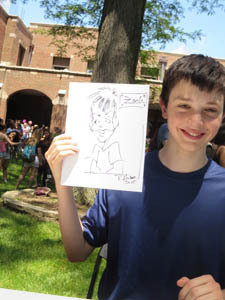 Isn’t that thoughtful! 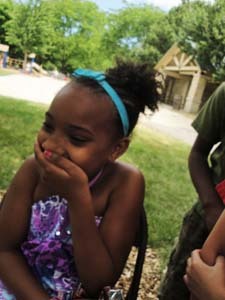 I love being part of this. 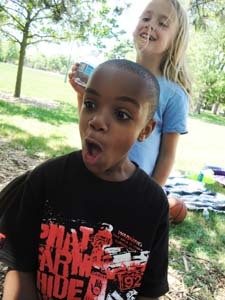 I love their anticipation when they’re next and the excitement when they first see the drawing.